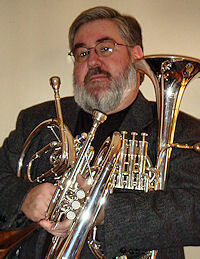 Welcome to Al's Tenor Horn Page, sister site to Al's Mellophone Page. 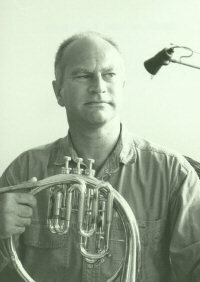 This page will hopefully serve to promote, legitimize, bolster, support, celebrate and dispel any myths surrounding the Tenor Horn, Alto Horn and all other Eb/F alto brasses. With the assistance of Greg Monks, we strive to be a great resource for those who love this seldom-respected instrument. Due to popular demand, we've included a series of links (on the Links page, of all places) of websites that will help you ID your instrument by its serial number. If you know of other sites, please send them my way so I can include them! But if you HAVE to listen now, you can listen right here! As always, feel free to E-mail me at nymellophone@outook.com. ... and any and all things Tenor Horn! Feel free to start E-mailing info to me!